Creating Conditions That Will Facilitate The Reappearance of "the christ"
The True Identity of this "christ" and his "Hierarchy"
Is the Church Prepared? Ummmm! No! The Lessons of Hitler's Amazing Rise To Power! Although the word "antichrist" is commonly used today, the exact term only occurs only five times in the New Testament only in John's epistles. Seemingly spurred by specific false teachers, He said people who denied Jesus was the Christ sent by God were 'antichrists'. In the spirit of Jewish prophecy (See Typology), John mentioned the many antichrists that existed at the time of his writing, but also said that "antichrist is coming", which implies that one antichrist would eventually make his appearance. The many antichrists that John said had appeared were imbued with same the spirit that will define the final antichrist who is yet to make his appearance. They were false teachers who, as Paul warned they would do, rose up from within one or another congregation and presented a message that subtly altered the Gospel message. Some of them may have been leaders in the foundling church who, for a while, had taught the truth. Then, as now, they called the Messiah 'Jesus Christ' but He was simply not the same Jesus presented in the Bible. Then, as now, they adopted Christian terminology. Then, as now, their teaching probably began as Biblical but gradually began to veer away from Biblical truth focusing on the issues that would appeal to people's desire for something in the here and now - wealth, good health, or even 'spiritual' experiences. They went out from us, but they were not really of us; for if they had been of us, they would have remained with us; but they went out, so that it would be shown that they all are not of us. (1 John 2:19 NASB). In the spirit of our overly tolerant, anything goes society, we tend to look on confrontation as something to be avoided at all cost, but the Bible's instructions on how to deal with those who teach and practice false doctrine in the church are very explicit. It is a two step process. The heresy has to be actively confronted and, if not repented of, has to be shunned. The duty of every true believer towards those who profess to be Christians but deny the Word of the Lord, is to come out from among them. Leaving, or separating oneself from apostasy and heresy is not optional, but commanded. However, although the term itself is sparsely used, the concept of the antichrist is much more common. This was the same being that Paul called "the man of lawlessness" and "the son of destruction", who would exalt himself to the point he would seat himself in the temple of God, and make himself out to be God. Although the term 'antichrist' is not used in the Old Testament, there is no doubt who the prophet Daniel was referring to when he spoke about an insolent "mighty king" who, under Satan's influence, would rise to power - deceiving and destroying. The book of Revelation tells us a little more about this same creature. Taken together, these verses give us a fairly rounded portrait of one man who will not only rise to power and dominate and deceive much of the world at the close of our present age, but will also be worshipped by most people who are alive at the time. In Islamic eschatology the Imam Mahdi (the 12th Imam) is the prophesied redeemer of Islam who will return to establish peace and justice on earth. According to the Shiite version of Islam, this 12th descendant of Mohammed, went into hiding in 941 - some 1300 years ago, and will reappear when the world has become full of oppression and tyranny. In Hinduism, Kalki is the final incarnation of Vishnu foretold to appear at the end of Kali Yuga, the current epoch. The Bhagavata Purana, possibly composed between 750 and 1000 AD, is considered to be the purest and greatest of all ancient Hindu texts. It prophesies that the sword wielding Kalki astride a white horse, is the harbinger of the end time. He will usher in Satya Yuga (the era of truth, or the golden age). Virtually all professing Christians expect Jesus to return and set up a kingdom of peace and justice on the earth. But is it possible that even Christians could be deceived by the antichrist? Sadly, the answer is a resounding yes! Christians will be duped for two reasons. 1) All too many of us are so Biblically illiterate that we tend to fall for virtually anything that comes down the pike and 2) The antichrist's deceptiveness and ingenuity will far exceed that of the ordinary con men who have already led so many believers astray. So far all it has taken is a certain amount of charm, a way with words and the ability to quote a Bible verse or two. But the antichrist will imitate Jesus Himself - at least initially. To millions around the world, the anti-Christ will not appear to be anything other than Jesus Christ - the Savior and Messiah. Some believe the rider on the white horse to be Christ since, in a later chapter, the book of Revelation clearly portrays Jesus as riding a white horse. However, the similarity begins and ends with the fact that both riders are astride similarly colored mounts. The rider in Revelation 19:11 is obviously none other than Jesus Christ who righteously dispenses justice. However, the rider in Revelation 6:2 is bent on conquest - and that cannot be Jesus Christ. So who is this other rider on a white horse? Many believe that Jesus' full name is 'Jesus Christ'. It is not. 'Christ' is not a name, but a title. The word Christos is the Greek translation of the Hebrew mashiach - 'messiah' or 'anointed one'. However, when the English translators came across Christos in the New Testament they did not translate, but transliterated it. Transliteration means that a word in one language is simply written using the alphabet of another. 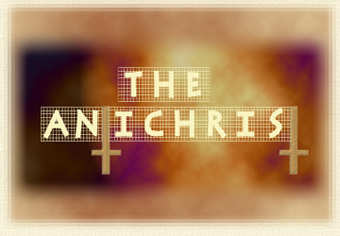 Thus the Greek Christos became Christ and antichristos (an-tee'-khris-tos) became antichrist. English speakers usually assume the word 'anti' means 'opposed to'. However, in Greek, the word can also mean 'instead of'. Therefore antichristos does not necessarily means someone who is against or opposed to Christ, but can mean instead of Christ. In other words, the antichrist can be one who seeks to take the place of' Christ. He is a clever counterfeit, which is why he is seen as riding a horse the same colour as Christ's. We can be sure that the antichrist's message will not initially raise any red flags. Much to the contrary. Revelation 6:3-4 says peace is not taken from the earth until the second seal is broken and the second rider astride a Red Horse makes his appearance. This indicates that the first rider on the white horse could be the world leader/teacher/savior who much of the world believes will introduce a 'golden age' on earth. The beginning of the end will not come with death and destruction but on the wings of peace that will lull the global masses into a false sense of security. Also remember that, when asked what would be the sign of His coming and of the end of the age, Jesus' first words were to caution believers not to be misled by false Christs which, quite obviously, has to include the most dangerous one of all - the antichrist. If there was no possibility that Christians could be deceived, then it is hardly likely that Jesus would have issued the following warning. One of the favorite pass-times of date setters is to attempt to identify the Antichrist, a powerful figure who will appear immediately prior to Christ's return. This guessing game has a long tradition, going back to the time right after Jesus' death. The early church fathers Justin Martyr, Irenaeus, Cyprian, and Augustine all believed that this person would be present immediately prior to Christ's return. During the Middle Ages, some churchmen identified the Antichrist as a Muslim, such as Saladin, but others pointed to a Jew, and some even pointed to the Pope. During the American Revolution it was popular to cast King George III in the role of Antichrist, but the Earl of Bute and British general John Burgoyne also got nominations. Other familiar names to be included in this long list of suspected Antichrists are Napoleon, the British Parliament, Adolf Hitler, Benito Mussolini, and Joseph Stalin. Since World War II, the Pope still makes the list as does Jewish leader Moshe Dayan, the assassinated Egyptian leader Anwar el-Sadat, Spain's King Juan Carlos, and Korean cult leader Sun Myung Moon. For some, Mikhail Gorbachev and Saddam Hussein are naturals for the job...."
But although Jesus very clearly stated that no one could know the timing of his return He, using the analogy of a fig tree, also told His disciples that certain events would indicate the nearness of His Second Coming. 3. The man of sin/the rider on the white horse/the antichrist is revealed. But here is what is terrifying. While we cannot be sure who the restrainer is and when he will be taken away, the falling away is already in full bloom, so the next step is the revealing of the antichrist, followed by the persecution of the church. The purpose of the following is to give the reader an inkling of the magnitude of the great darkness that is sweeping the world. Sadly almost every Christian that I know, or have ever met, thinks the end is coming, but sometime in the vague future. Much to the contrary, events are set to take a very nasty turn not in the next century, but now - in our lifetimes. If you are below fifty, and manage not to be hit by a bus next week, it is more than likely that you will witness at least the beginning of the end of the age. This is not date setting, but watching the times and seasons. While topics such as the pre or post-tribulation rapture, the so called 'mark of the beast', the four horsemen of the apocalypse, and the various aspects of the antichrist find a wide audience in today's professing church, I have to wonder how many have actually bothered to go beyond academic discussion, and take a good hard look at the less than subtle events taking place in the world around them. And no, I am not talking about the usual blather about an increase in earthquakes, or wars and rumors of wars, since what Jesus actually said was NOT to be disturbed at these events. What I am referring to is the fact that a movement has gradually been gathering momentum over the face of this earth, fueled by the unholy forces that oppose both God and man, shepherded by humans outside the church who have no comprehension of the dark forces they deal with and, of course, by an "evil and adulterous generation" inside the church who so blithely ignore the warnings from the God they profess to serve. Occultists and many New Agers believe the present phase of human existence is one of transition, and there is a new age dawning. In recent years, more and more influential New Age thinkers have spoken about and are working towards, a soon to come "Planetary Pentecost" (other buzz words include shift, awakening, transition, transformation, global or universal consciousness, rethinking, re-imagining and a New Earth), with the so called church echoing the terminology. While they are wrong about the details, and will probably not like the final results very much, New Agers contend that Buddha, Muhammad, Confucius, Jesus, and many others were "Christs" but one, greater than all of them - the "Lord of the World", also known as Sanat Kumara, will soon come to usher in a New Age. In the past decade or two, there has been an explosion of individuals and organizations (both large and small) around the world who are actively working towards creating the conditions necessary for the return of the coming World Teacher. This entire plan is centered around the birth of a new world consciousness. It is believed that it will come to fruition when enough people are trained to enter an altered state of consciousness which will somehow facilitate the "Reappearance of the Christ". Except that this "Christ" has nothing to do with Jesus Christ of the Bible. The changing or 'lifting' of global consciousness, echoed and reechoed by countless New Age writers and teachers, can be brought about in several ways, one of the most important of which is occult meditation, especially at the full moon when "closer rapport between humanity and the Hierarchy" is possible. The Hierarchy presumably being the "Masters of the Ancient Wisdom" (aka the Ascended Masters), who are alleged to be overseeing the spiritual and evolutionary development of the human race and who will accompany 'the christ' on his return. Although the movement did not start with her, Alice Bailey, who along with her husband, was a one time serious student of Theosophy was very instrumental in the its global spread. She wrote some 24 books under the guidance of an ectoplasmic apparition from hell, who called himself Djwhal Khul (The Tibetan) and claimed to live in a physical body on the borders of Tibet. She also founded the Lucis Trust (formerly Lucifer Publishing Co.) which enjoys "Consultative Status" with the United Nations and has spawned several other organization... the Arcane School, Triangles, World Goodwill, Lucis Publishing, Lucis Productions, Lucis Trust Libraries, the New Group of World Servers. Last, but far from least, they maintain the UN meditation room. In fact, most of these organizations were formed so that Djwhal Khul could find a nucleus of people through whom he could work. The gradual, but sure, infiltration of the government and the church means that there is nothing to hinder the return of pure unmitigated evil. And if you think these beliefs are limited to a few kooks round the globe, think again. What is really chilling is the sheer number of organizations working towards the same goal, and the fact that few of these organizations seem to work in isolation but, like the spokes of a gigantic spiders web, are usually connected in one way or another to many others around the globe. is a non-governmental organization (NGO) that is one of many organizations that are preparing the way for the "Christed One" by promoting human consciousness. However, this organization has spread it tentacles very far, very wide, and very deep, working with various major groups associated with the UN. In fact they have gone as far as to promote the reappearance of this world leader from within the UN. As it has been for years, the Aquarian Age Community's meditation schedule for 2015, corresponds exactly with the Full Moon phases which, as Alice Bailey taught, are especially fruitful times for spiritual work because an abundance of spiritual energy is available. As their web site says "
Join in the monthly Webinar meditation meetings to help transform planetary consciousness by supporting and strengthening the spiritual work of the United Nations on the following dates in 2018 from Noon – 1:00 p.m". Compare this to Revelation 12:9. In fact, Theosophy views Lucifer as one of the advanced beings who descended (thus "the fall") from Venus to our planet to 'help' man. The descent of these beings was not a fall into sin or disgrace, but rather an act of great sacrifice, as is suggested by the name Lucifer which means 'light-bearer'. The Global Alliance and The United Nations. The previously mentioned "Ascended Masters" are alleged to work from a Shambhala, or the "Hidden Kingdom," centered either in the Gobi Desert, or in a hidden location in Tibet, from where that they are believed to be guiding the evolution of humankind. Note: This is not James Hilton's hidden paradise on Earth, but a spiritual realm. The Kalachakra is a very complex teaching and practice in Tibetan Buddhism. The Dalai Lama, who also believes in and teaches on the Maitreya, has initiated thousands of people into the Kalachakra initiation. Alexander Berzin, who served as interpreter and secretary to the Dalai Lama for nine years, accompanying him on several world tours. , informs us that although it is supposed to be a ritual for world peace, the Kalachakra-Tantra actually prophesies and glorifies a "holy war" (Shambhala war) by Buddhists against non-Buddhists, in which "supremely ferocious warriors will throw down the barbarian hordes" and "eliminate" them. "Adam, Enoch, Abraham, Moses, Jesus, Mani, Mohammed and the Mahdi" are characterized as the "family of the demonic snakes" and are attributed with characteristics of darkness and deceit. . In the final analysis.. Satan and his legions were thrown out of Heaven two thousand years ago and whether they 'live' in an ethereal kingdom in Tibet or not, the fact remains that they are very much stalking the earth. And, with the aid of possibly millions of humans who have no idea of the dark forces they are dealing with will, in the near future, show up in person under the 'world teacher'. And much of the church continues to play right into their hands. Dominion or Kingdom theology, which is not a denomination but a belief system, is largely based upon a post-millennial view which is that Christ will return to earth after the thousand year reign of God's kingdom. It is the church that weill progressively brings righteousness and peace to the world so that Jesus can return. This fits in perfectly with the New Age aim to bring the whole world together in peace and harmony under the one they consider to be the messiah, who will help man achieve these goals. It is entirely possible that Dominionists, blind to the true calendar of events, will accept the rider on the white horse of Revelation chapter 6:2 as one of their own leaders who is fulfilling their skewed agenda of bringing peace to the world. The stated purpose of the Dominionists/Manifest Sons of God/ Apostles and Prophets/ Ravening Wolves is that they are to be God's great end-time army, being now prepared to execute His judgments. And, believe it or not, those Christians that do not agree with their dangerous delusions have been identified with the antichrist. Believers who use their brains, check everything by the Word of God, reject any doctrine that is not based solely on Scripture, and dismiss all extra-biblical revelations and visions that do not conform to the Word of God have become the enemy. This is not a time for celebration. This is not a time for the church to be expecting some kind of a special blessing. This is a time to be sober and vigilant.. to watch and pray... to be spiritually prepared... to be warning your family and friends about what is happening in the world. But where exactly is the church that should be preparing for the storms to come? Few apparently take too seriously the "roaring lion" that Peter warned about. For the most part, if you glance outside, you will see the rocking chairs on the front porch moving steadily to and fro. In spite of God repeatedly warning us about subterfuge, Christians are deceived in vast numbers with relentless regularity. The church has already been and continues to be infiltrated by every manner of apostasy possible - the seduction surprisingly easy. It has crept in wearing very subtle disguises some of which are visualization, self-improvement techniques, claiming God's gifts and even getting closer to or experiencing God. See Section The Contemporary Church. The church that should have been a bulwark against evil has, thanks to apostate leadership and a Biblically illiterate population, latched on to the coat tails of the world. We have endorsed the invitations and are along for the ride... and what a ride it's going to be. A church expecting revival, rapture and the return of Christ will soon find itself face to face with the antichrist instead. It is a tragedy of epic proportions that many New Agers are, in a sense, more aware than we are. Although they have a completely erroneous spin on it and are wrong about his true personality, many New Agers seem to know that the antichrist is well on his way... literally breathing down our necks. Although wrong.. at least they are awake. Steven J. Cole. Avoiding Spiritual Deception, Part 1 (1 John 2:18-23). University of The Seven Rays. Living the Spirit of the Aquarian Christ: Prepare the Way. Alice Bailey. The Externalization of the Hierarchy - Section IV - Stages in the Externalization. Alice Bailey. Initiation: Human and Solar. Lucis Press, 1922. pp. 32-33. Joleen Dianne DuBois. The Christ, His Reappearance And the Avatar of Synthesis. White Mountain Education Association. Alexander Berzin. Eight Questions to the 14th Dalai Lama on the topic of the Kalachakra-Tantra. One of the great mysteries concerning bible prophecy and the end times is the national identity of the Antichrist. This is an important topic because it will eventually aid the last days generation of Christians in the correct identification of the Antichrist. Fortunately, the Bible provides us with several details regarding the nationalistic origins of this sinister personality. The City and the Temple referenced in this passage were destroyed in A.D. 70 by Titus and the Roman legions, but Titus was not the ruler referenced in this verse. Daniel 9:27 describes the ruler as one who will make a seven-year treaty with Israel, put an end to the sacrifices and offerings, and set up a sacrilegious object that causes desecration. These are events that will be fulfilled in the life of the Antichrist. According to Daniel, the Antichrist will come from among the people who destroyed the Temple. Therefore, we can be certain that the Antichrist will come from among the Roman people. However, coming from among the Roman people does not automatically mean that the Antichrist will be of Italian heritage or Roman ethnicity. It simply means he must come from among those people who were part of the Roman Empire at that time. From an ethnic standpoint, this leaves the door open to countless possibilities. The Roman Empire covered most of the known world in its day, and Roman citizenship was extended to many non-Italian peoples. So how do we interpret this passage? Most likely, Daniel 9:26 is a reference to the power base from which the Antichrist will operate. The Book of Daniel clearly states that the final world empire before the establishment of Christ’s Millennial Kingdom will be a resurrected form of the Roman Empire. In all likelihood, the Antichrist will be the ruler of this revived Roman Empire which will "devour the whole earth," and in this way, Christians will be able to identify him as the Antichrist. The fact that the formation of the European Union has major spiritual implications is reflected in the religious symbols that the Union has adopted in the form of its flag, its anthem, its architecture, and its basic logo. Daniel Chapter 11 provides an in-depth examination of the history of the breakup Alexander's empire, describing historical events relating to the King of the North and the King of the South. The latter part of the chapter describes the Antichrist, identifying him with other historical figures who have held the title "King of the North." This, along with the passage cited above, clearly links the Antichrist to the Northern Kingdom of the divided Greek Empire. This kingdom was ruled by one of Alexander's generals, Seleucus, who ruled the areas of Syria, Mesopotamia, and Persia. Therefore, it is reasonable to assume that the Antichrist will in some way be linked to this geographic area of the Middle East. Is the Antichrist Jewish? Although there is no definitive answer, two Bible verses provide us with good reason to believe he will be. The first appears in the Book of Genesis when God prophesies the coming of Israel’s Messiah and Satan’s Antichrist. The first beast, whose "death-wound had been healed," is the revived Roman Empire. The Book of Daniel clearly states that this world empire will re-emerge in the last days, thus becoming healed of its mortal wound. But the one who rules it will "come up out of the earth." Could this be a reference to the Antichrist's Jewish heritage? The Antichrist would have to be Jewish in order to be accepted by Israel as the Messiah. Many believe this scripture points to a specific person in the future who will "come in his own name" and be accepted as the Redeemer of Israel. It is an absolute certainty that the Antichrist will arrive on the world scene as the ruler of a revived Roman empire. However, it is less certain whether or not he will be of actual Italian descent or some other ethnic background. Several scriptures offer the possibility that he could be Assyrian, Greek, or Jewish. But none of them offer us the definitive statement contained in Daniel 9:26. So how do we rectify these seemingly contradictory prophecies concerning the Antichrist's nationality? Is he Roman? Italian? Jewish? Assyrian? Greek? He doesn't necessarily have to be exclusively one or another. He could be an Assyrian Jew born and raised in Italy, or any number of possible combinations. We don't know for certain, but history indicates that each of these prophecies will be harmonized when the Antichrist finally appears. Two thousand years ago, the seemingly contradictory prophecies of the first coming of the Messiah were all harmonized in the life of Jesus Christ who was a Nazarene born in Bethlehem who came out of Egypt. With the benefit of hindsight, we can see how this was possible, but for the Jewish scholars who lived before the birth and ministry of Jesus, these prophecies were a topic of intense debate. Would the Messiah come from Nazareth, Bethlehem, or Egypt? The answer, of course, was all three. In similar fashion, a debate continues today in regard to the prophecies of the Antichrist and his national identity. But no matter how much we speculate on the ultimate meaning of the scriptures, we won't know the absolute truth until God's appointed time. As such, it is wise to study these prophecies and teach them to others, so that Christians of the Antichrist's generation will be able to positively identify him based on sound Scriptural evidence. How was it possible for Adolf Hitler to achieve power in Germany so suddenly? In the 1928 German Election the Nazi Party only achieved 2.6% of the national vote, this means that an amazing 97% of Germans clearly did not want Hitler to be their Chancellor. The Nazis were looked upon as a fringe party and were almost a joke – yet just five years later Hitler was Chancellor of Germany! How could this have happened? The liberal Weimar government of 1919-1931 were certainly committed to democracy, unfortunately they were also weak, often rudderless and they presided over widespread and unprecedented corruption right across German life. Being a liberal democracy, widespread corruption did not unduly worry the Weimar architects but it worried and upset many German people who longed for a return to a respect for law and order right across the land and right across German life. Of course, as we know, it was a major economic crisis which finally opened the door for Hitler. When Weimar failed, people did not want another liberal democracy which they blamed for the moral confusion and chaos of German life. Germany had been greatly affected by the repercussions of the 1929 Wall Street Crash. In 1931, five major German banks crashed. From its former position of being a great nation Germany actually became - by far - the weakest nation in Europe and actually weaker than most African countries!! Confusion and chaos was now no longer simply of a moral nature but was of a devastating economic sort which saw thousands of unemployed men forming lines to receive a tiny handout which could never be enough to feed their families. Many committed suicide, others simply abandoned their families. Panic gripped thousands of Germans, and they cried out for a strong leader who could lead them out of this chaos! Both communists and National Socialists prospered in this climate in which the common people powerfully rejected the whole concept of a liberal democracy. In the 1932 election campaign Hitler put himself forward as the strong and decisive leader which the Germans had been longing for. As many have commented, all the Nazi Party really offered was order, discipline and authority since they had not drawn up any detailed policies – however, it was indeed the order, discipline and authority which the Germans were longing and craving for! Moreover the Nazis made it clear that, when elected, they would form a dictatorship – not a democracy, but this, again, was exactly what the people wanted! So it was economic catastrophe which turned the Nazis from a party which 97% of Germans had rejected in 1928 to a major party just 4-5 years later. In 1932 the Nazis had 37% of the vote - the biggest single German party. German leader Hindenburg originally did not want Hitler to be chancellor because he believed that he would bring even more chaos. It was thousands of bankers and businessmen who petitioned for Hitler to become chancellor. They longed for stability, security and a return of confidence to German business life and saw Hitler as the strict no-nonsense disciplinarian who could provide it. The only strong radical alternative to Hitler were the communists who were obviously absolute anathema to bankers and businessmen! Many more moderate German conservatives thought they would be able to control Hitler when he went into government through the processes of parliament, but what nobody had accounted for was National Socialism's zeal in changing laws and bringing in new laws to suit themselves and to radically change German life. There is no doubt that Hitler did stabilise all of German life and brought new economic confidence to the ravaged land. For this achievement ordinary Germans wholeheartedly threw themselves behind Hitler and the Nazis. What is the lesson of all this? Five years prior to Adolf Hitler becoming German Chancellor the National Socialists were considered almost a joke, rejected by 97% of German voters, but when economic disaster struck, the people – in their tens of thousands – simply wanted a strong leader amidst a sea of watery ineffectual liberals! They were prepared to accept some really dangerous and offensive policies just in order to get a strong and dynamic leader elected - We should never think that this could never happen again! It has been said that those who refuse to learn the lessons of history are condemned to repeat them. Modern Britain, Europe and much of north America is being paralyzed by politically-correct permissive liberals. Concerns about "civil liberties" with its desire to protect criminals and illegal immigrants and the push to eradicate the last vestiges of censorship and national pride are being aggressively pushed forward by people who were encouraged and persuaded to revere arch-atheists Marx, Freud and Nietzsche in the universities of the 1960's - 1980's. The trend has been quietly going on and growing for several years and this will surely eventually lead to a powerful right-wing backlash as ordinary people grow increasingly sickened at the moral corruption and erosion of former strongly Christian-influenced standards! The moral weakness of liberal governance means that parents are no longer even allowed to impose their own standards in bringing up their own children. If the West should hit a major economic crisis which should lead to thousands or even possibly millions losing their sources of income, a huge backlash will be certain indeed – at such a time and in such a climate, a powerful right wing leader will be sought. This could be extremely dangerous for the whole world and could even lead to global conflict.